What could come as a major boost to the Indian Air Force and it’s Sukhoi-Su30MKI fleet, IAF is set to receive the first batch of Astra Beyond Visual Range Air-to-Air Missile (BVR-AAM) from India’s state-owned missile maker Bharat Dynamics Ltd (BDL) by end of this year, informed reliable industrial sources close to idrw.org. 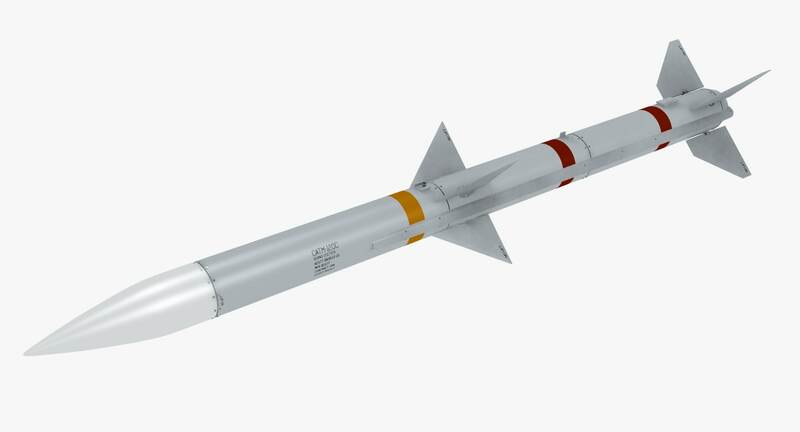 BDL last year received pre-induction orders for 50 Astra BVR-AAMs and with the help of 50 private and public sector industries involved in development and production of the different subsystems of the Air-to-Air missile, BDL is confident to start deliveries of the first batch by end of 2019. 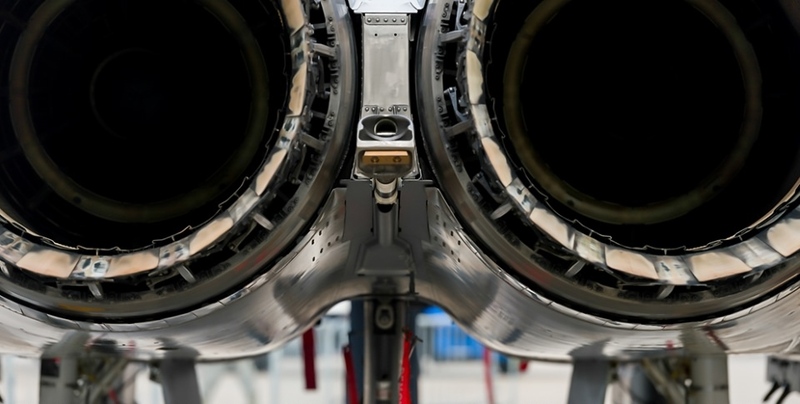 General Electric Company which previously supplied engines for India’s Tejas Mk1 fighter jet has recently offered to supply F414 Enhanced Engines to power India’s upcoming Medium Weight Fighter (MWF), and 5th Generation AMCA fighter jet program. According to reliable industry sources close to idrw.org, ADA officials were officially briefed by GE Officials on F414 Enhanced Engines and how it can be incorporated into e F414-INS6 engines selected by ADA for Previous MKII version of the Tejas Light Combat Aircraft. Recently at Aero India 2019, ADA for the first time disclosed it’s intentions to develop a Medium Weight Fighter (MWF) based on its LCA-Tejas design elements but it will be, completely new program with little or no major technology borrowed from its predecessor Tejas Mk1/1A and more of its technologies will be borrowed from India’s 5th Generation AMCA fighter jet program which has been under research and development for much longer time then MWF. 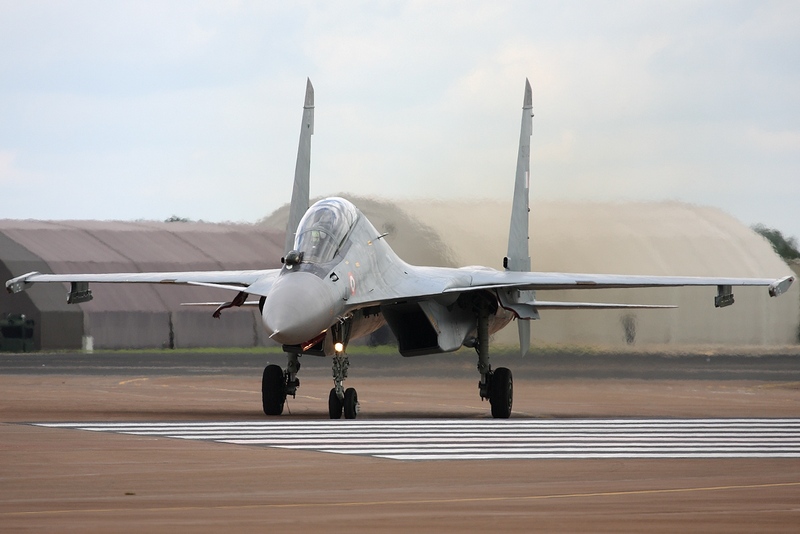 Two IAF’s Sukhoi-30MKI fighter jets came close to 12km of the LOC yesterday around 7 pm after some aerial activities were seen across the LOC by Pakistani air force near Poonch district of Jammu and Kashmir. Pakistani Army had resorted to small arms gunfire in the area since 5.30 in the evening which was retaliated at the same intensity by the Indian Army. While India might be getting next generation Meteor Beyond Visual Range Air-to-Air Missile (BVRAAM) along with Rafale fighter jets which will start arriving by end of this year, but, the possible sale of Meteor missile system for other platforms like Tejas Mk1A and Sukhoi-30MKI was brick walled by MBDA due to their reservations to limit their integrations only to European Radars. Like Mig-21Bis, R-73E short-range air-to-air missile was on verge of retirement after IAF planned to replace them with much improved European heat seeking Advanced Short Range Air-to-Air Missile (ASRAAM) among all platform,but missile system received a much-needed boost to the image when R-73E a Standard missile model procured in the ’80s managed to bring down a Pakistani F-16 last month. ASRAAM procurement will be on and will be standard air to air missile system on all current and future aircraft but due to high procurement cost, Sources close to idrw.org have informed India is now actively considering procuring improved model of the missile system called K-74M which Russia has developed to be armed on next generation Mig-35, Sukhoi-35 and Sukhoi-57 fighter aircrafts. India’s Bharat Electronics Limited (BEL) which is developing Infrared image search and track system (IRST) for Sukhoi Su-30 MKI aircraft of the Indian Air Force to replace its current Russian origin OLS-30 IRST system will also find its way also into India’s Medium Weight Fighter (MWF) fighter jet which was recently showcased at Aero India 2019. 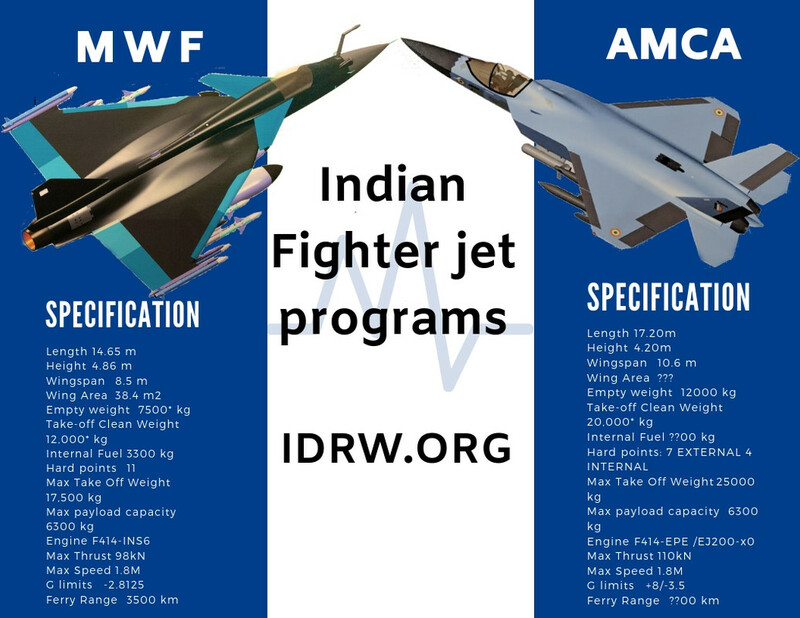 According to reliable industry sources close to idrw.org, IAF and ADA are discussing the possibility of having a common Non-TVC and TVC Turbofan engine rated at 110kN with afterburner for both platforms to reduce the cost of the new engine development and also lower the cost of each unit due to the higher scale of production. Michael Koch. 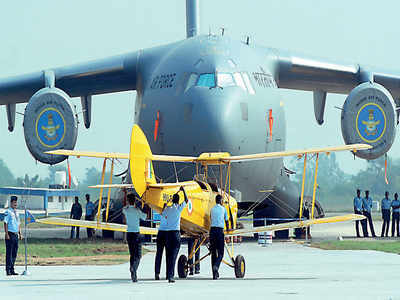 Vice President, Boeing India Defense, Space & Security has confirmed to press at ongoing Aero India 2019 that last unsold C-17 before production line was closed will be delivered to India by August this year and will be 11th on to join IAF fleet making it second-biggest operator of the type in the world after USAF which operates nearly 220 of them. Hindustan Aeronautics Limited (HAL) chairman R Madhavan has said that first flight of upgraded LCA-Tejas Mk-1A will happen in 2022 and it is expected it will enter production by 2023. R Madhavan who was speaking in HAL press conference at the ongoing Aero India 2019 also confirmed that since airframe will remain same, the company is treating it has an upgrade rather than a new development. Indian Army Chief Gen. Bipin Rawat will be carrying out a sortie on the LCA-Tejas Trainer Today at the ongoing Aero India 2019. 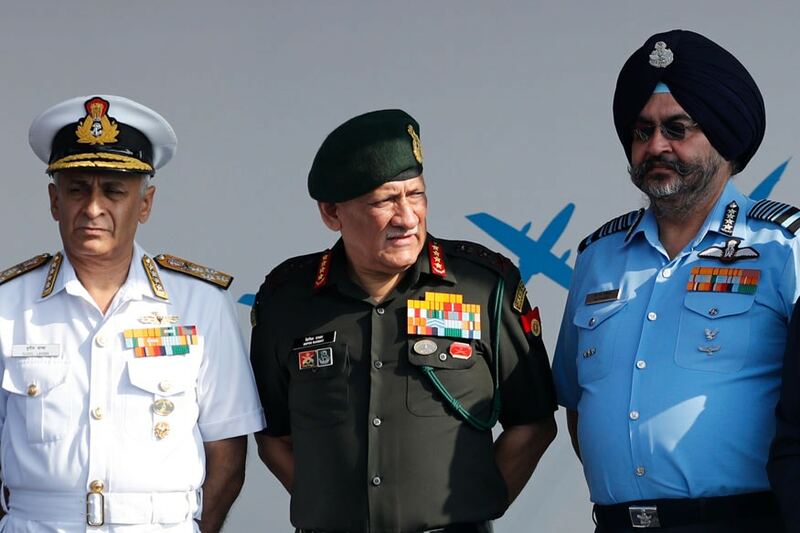 This is for the first time Indian Army Chief will be flying indigenously developed fighter jet which recently was awarded Final Operational Clearance (FOC). 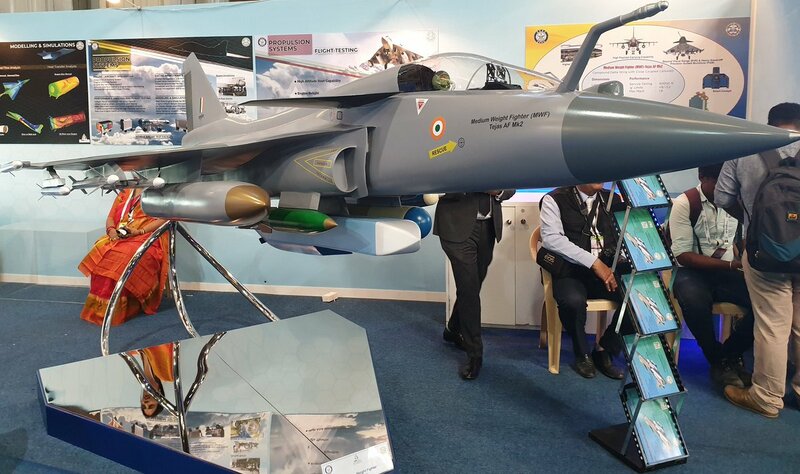 DRDO has finally showcased its Medium Weight Fighter (MWF) also known as Tejas Mk-2 at ongoing Aero India 2019. As previously reported by idrw.org, MWF now Sports Canards but the most interesting revelation has been wingtip pylon which means MWF will now sport 11 Hard-point instead of previously estimated 9 hard-points after Gryazev-Shipunov GSh-23 gun position was moved from right intake to the upper spine of the MWF. BrahMos Aerospace is currently working on a miniature version of the BrahMos missile, called BrahMos NG which is still in the design stage and development is a few years away but a mock up of the missile system has been displayed under the wings of the LCA-Tejas Mk-1 aircraft at Aero India 2019. Naval Variant of ALH-Dhruv has been showcased at Aero India 2019 with a new Automatic Rotor Blades Folding (ARBF) system that will allow the helicopter to be stored onboard ships where hanger space is at a premium.